And what do you know….? Our very own James Svoboda came in at #16! First off, it is a great honor to make the list and we want to congratulate James for this prestigious accomplishment. While our Paid Search clients certainly already know about your amazing PPC marketing skills, it is great to see it recognized by other in the industry. 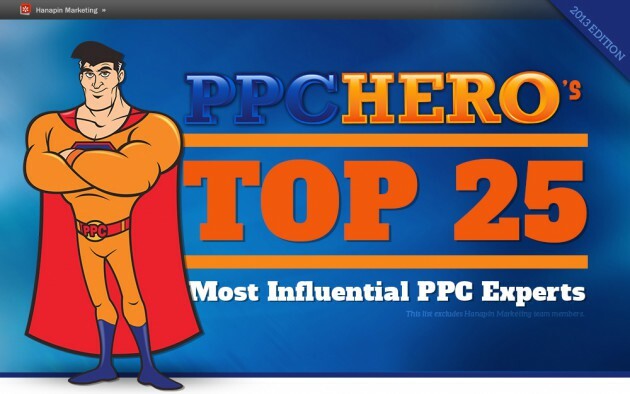 We also want to thank the great people over at PPC Hero for putting out their annual list of the most influential PPC Professionals. Update: James was also named a top 25 influential Pay Per Click Expert in 2016 as well as 2014.